Home Technology Hardware What Are the Different Kinds of IP Security Cameras? Bullet cameras are small in size, usually 2 to 3 inches, and cylindrical in shape. These cameras are ideal for surveillance applications covering a much longer distance than that covered by the dome cameras. The cameras offer high quality images, and can display images in both color and monochrome (black and white). As such, bullet cameras can function in both outdoor and indoor applications, as well as normal and low lighting environments. Most IP security cameras can operate in normal lighting environments, due to the availability of constant lighting. 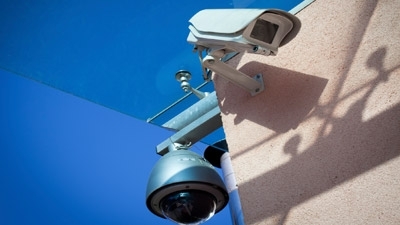 However, specialized cameras are required for surveillance applications in poorly lit environments. Infrared cameras are able to see in the dark, owing to the illuminators that are fitted to provide invisible light in low lighting conditions. These cameras can provide high resolution black and white images, even in zero lighting conditions. PTZ cameras are fitted with motorized controls that can adjust the movement of the camera both horizontally (right and left) and vertically (up and down), as well as adjust the position of the lenses in order to zoom in on a subject. Using these IP security cameras, users can get clear images from all possible angles.